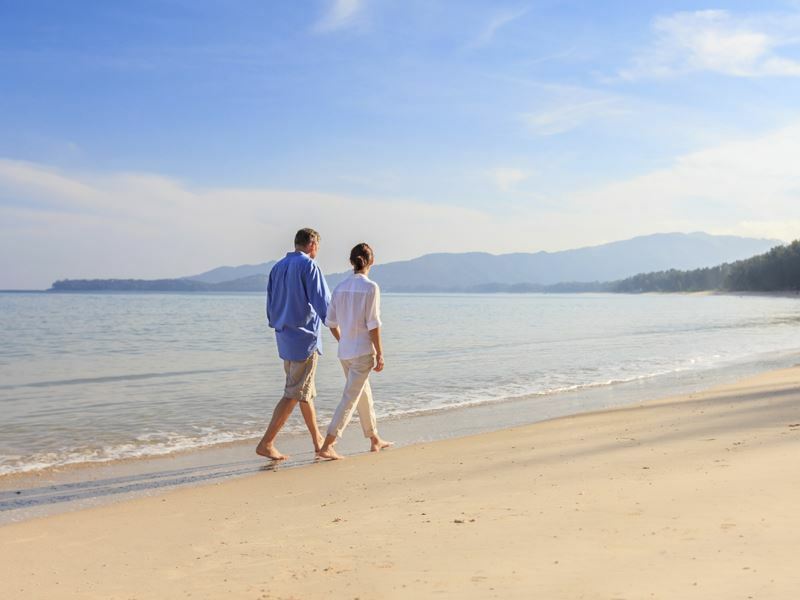 Whether you are parents seeking a well-earned break, a newly married couple looking for an idyllic honeymoon or a group of friends looking for a far-flung getaway, an adult-only holiday is the perfect option for you. Sometimes, all you desire is to sit by the pool with a cocktail, listening to chilled music rather than the jarring sound of splashing and excitable chatter from the nearby kid’s pool. Other times, you’re searching for romantic escapism, with peaceful oceanfront restaurants and a few cosy bars to choose from. If these anecdotes sound truly blissful to you, then we’d recommend considering one of our adult-only hotels. Take a look at our guide below, steeped with information on where to find the best accommodation, which hotels are best for your travelling needs – including if you’re travelling solo or for a special occasion – and all the hallmarks of a wonderful adult-only trip. What makes a hotel adult-only? The main indication that a hotel is adult-only is by its age restriction. Most of the time, the restriction for adult-only hotels is 16+, but you may want to do a bit of research in case your hotel’s limit is younger or older. 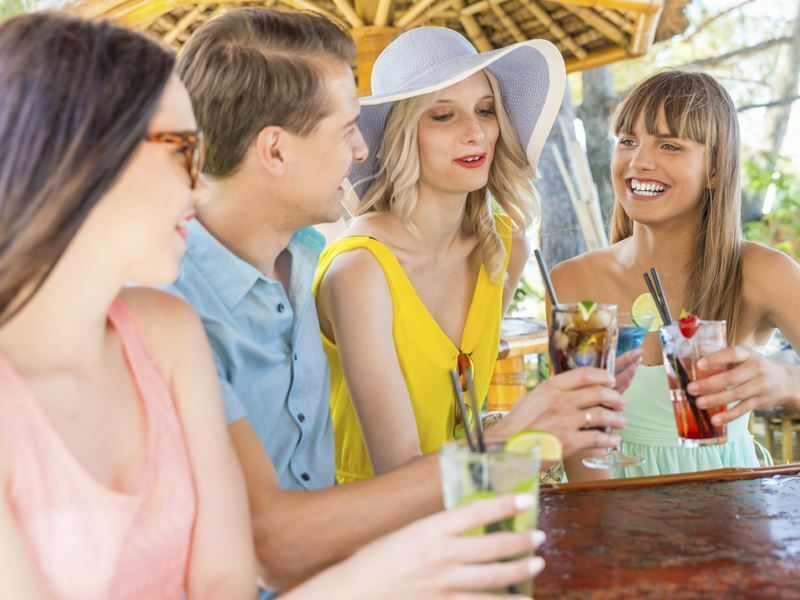 There are a few features that lend themselves to being more for grown-ups too, for example an adult-only hotel is more likely to focus on creating a vibrant nightlife scene with fun bars and lively evening entertainment. It also depends on the kind of holiday you’re searching for – honeymooners will be able to find the perfect romantic and peaceful ambience in an adult-only hotel, and the spas are second-to-none as well. Some hotels simply focus on the decadent food, calm atmosphere and pampering amenities, while others offer fabulous activities ideal for big groups of friends or couples looking to get away from the pool lounger. Cocktail classes, exhilarating water sports, couples’ massages…there’s lots to do that you might find harder to enjoy with kids around. Who are they good for? Solo travellers, honeymooners, groups of friends, people celebrating a big birthday or anniversary – they are fantastic for a whole host of different holidaymakers. Adult-only hotels do have a connotation of bringing the party vibes – but that’s not always the case. Retreats such as Spa Village Resort Tembok in Bali focus on creating a tranquil sense of wellbeing, with no mobile phones in public areas, no in-room TVs and a beautiful spa offering that quietly romantic ambience you’d most likely desire for your honeymoon. If it is a fun holiday you’re looking for, we have plenty of options for you. Take for instance our adult-only tours, including Bali & Lombok: Hike Bike & Raft where solo travellers can meet like-minded people or groups of friends can embark on an unforgettable adventure together. 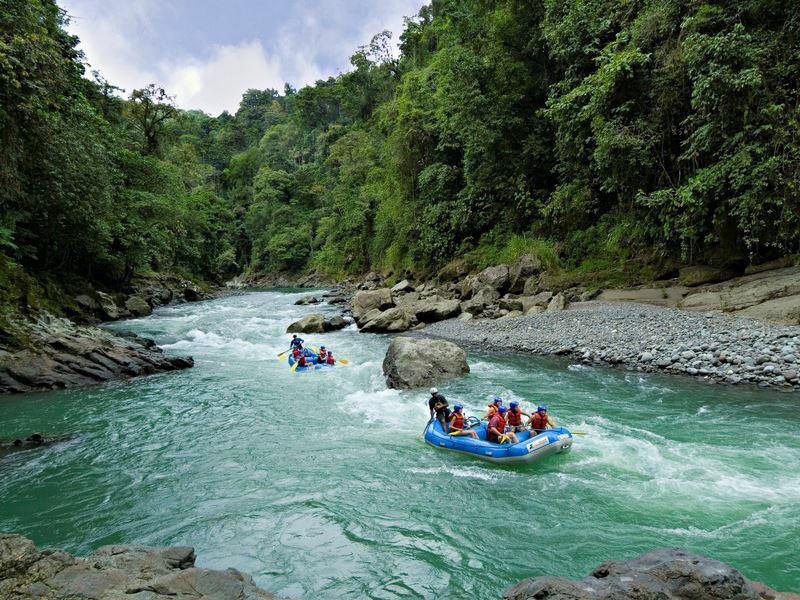 Our Couple’s Adventure to Costa Rica escorted tour is another fabulous option for celebrating a big date, journeying through rainforests and enjoying thrilling activities for 10 days. You can find adult-only hotels all over the world, but there are some destinations that we find cater more to those trying to escape the family-friendly hot spots. The Caribbean is a classic choice for an adult-only holiday. Surfer dudes and adrenaline junkies will love riding the waves at Bathsheba or Accra Beach in Barbados, whilst those seeking solitude will relish the quiet beauty of St Lucia’s sugary coastline. Secrets The Vine Cancun offers a relaxing adult-only sanctuary amongst the Zona Hotelera strip’s throng of family-friendly resorts in Mexico, and Galley Bay Resort & Spa offers a slice of secluded paradise in Antigua. 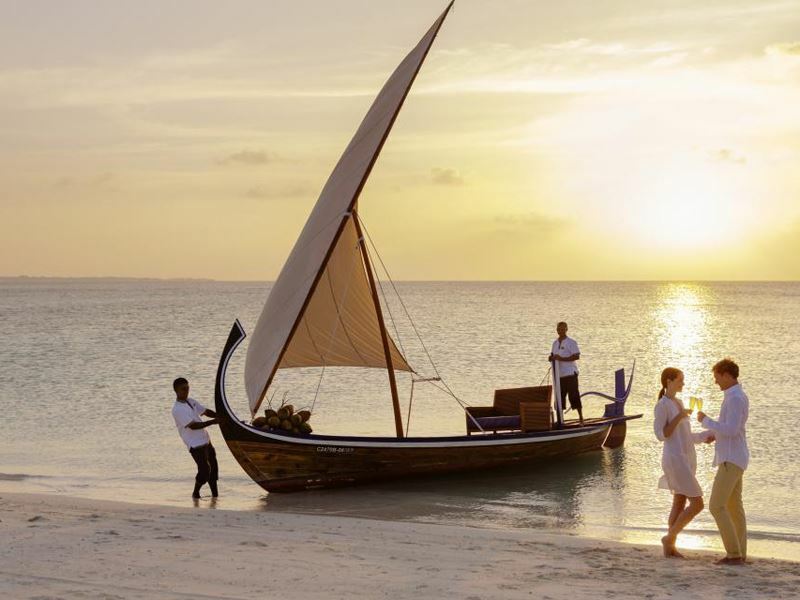 Meanwhile, those in quest of a restful honeymoon will love our selection of Indian Ocean hotels. Veranda Paul and Virginie in Mauritius is intimate yet trendy, boasting two divine restaurants with no children menus or fussy eaters in sight. The Maldives is the ultimate treat, with stunning Water Villas giving you direct access to the turquoise lagoons and oceanside bars offering sensational sunsets, including Veligandu Island Resort & Spa. The Far East is another region we’d recommend if you’re looking for glamour and natural beauty. An Lam Retreats Ninh Van Bay in Vietnam is one of our favourites, nestled into the hillside and boasting amazing villas with some of the most breath-taking vistas. Stylish couples will feel at home at Layana Resort Koh Lanta in Thailand, with contemporary décor, a large luxury spa, and sunset cocktails at the Sundowners Bar. If you’re wanting to treat a loved one to an ultra-special getaway, consider the South Pacific. Likuliku Lagoon Resort in Tahiti is a stunning couples-only resort, paving the way for jaw-dropping honeymoons or anniversaries. Perched on luscious Qamea Island, Qamea Resort & Spa in Fiji is wonderfully intimate with its 17 bures and private dining gazebo. We love all the adult-only hotels we offer, but there are some that deserve the spotlight for certain kinds of holidaymaker. This luxurious retreat is part of our Platinum Collection, chosen for its enchanting ambience and its nod to the laidback Maldivian lifestyle. Indulge in your own slice of paradise and opt for a Romantic Ocean Villa, jutting out over the crystal-clear lagoon and boasting unsurpassable views of the sunset, and enjoy a swoon-worthy dinner at the amazing 5.8 Undersea Restaurant. Though the age restriction drops from 16 to 12 during the Easter, summer and Christmas breaks, BodyHoliday is a fantastic adult-only resort for those looking for an activity-fuelled St Lucian holiday. This is a unique option, focusing on health and fitness with its world-class Wellness Centre, daily complimentary spa treatment, and daily-changing activities list filled with fitness classes and excursions. It’s a fantastic option for single travellers too, especially during September Solos when the resort focuses on solo holidaymakers. Known for it’s sensational ‘sanctuaries’, this beautiful hillside paradise is truly enchanting, and ideal for an extra-special occasion. The resort is nestled high in the hills, with breath-taking views of the Pitons and iridescent glass tiles that shimmer in the sunlight – it’s a magical place indeed. Each of the sanctuaries are missing their fourth wall, bringing the outdoors in and also boasting vistas that will never grow old. If your aim is to enjoy a totally stress-free holiday, then how about going all-inclusive? With food and drink included – yes, including that mojito by the pool – as well as some activities and non-motorised water sports, all you’ll need to worry about is finding the perfect spot to soak up the sun. 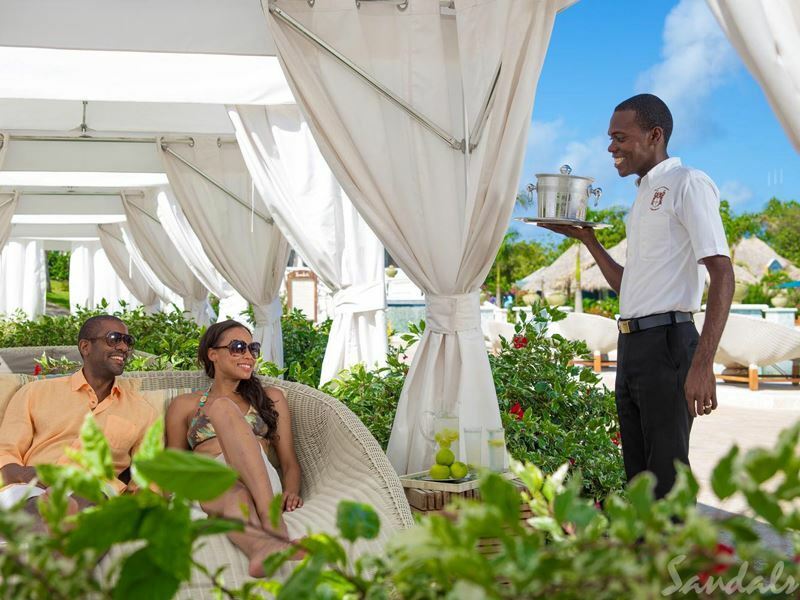 Sandals Grenada Resort & Spa is a fabulous choice – who could resist drinking a gin & tonic on Pink Gin Beach, especially when the drink is included in the price? Three pools, two river pools, a contemporary spa and beautiful suites add to the charm. If you’re a big foodie, you’ll love going all-inclusive at Haven Riviera Cancun. There are six restaurants, three snack bars and nine bars to choose from, all offering sensational cuisine such as charcoal grilled steak and traditional Mexican dishes. Be sure to swim up to Docks, a cool bar with great cocktails served alongside ocean views. No matter what makes you decide to book an adult-only holiday, our selection of hotels and tours will leave you grinning from ear to ear.